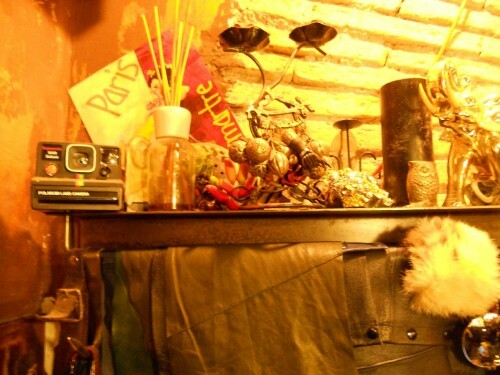 Bohemienne is a super cool little vintage clothing shop located in Campo dei Fiori. 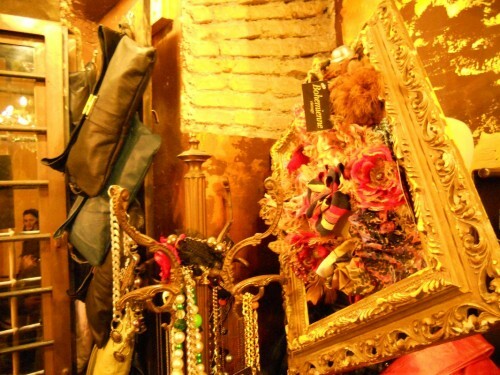 This wonderful boutique is truly a hidden gem. 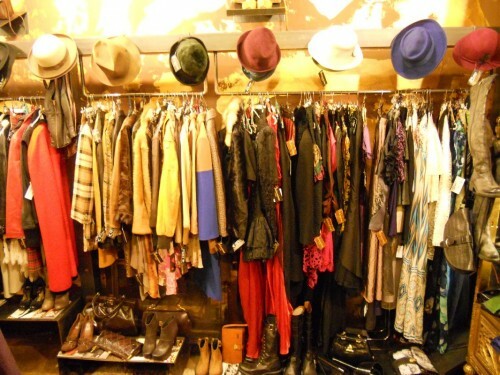 Mainly they cater to the needs of the ladies but Bohemienne also has a cool selection of vintage gentleman’s attire. 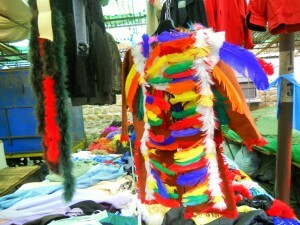 Bohemeinne features a great section of jackets. 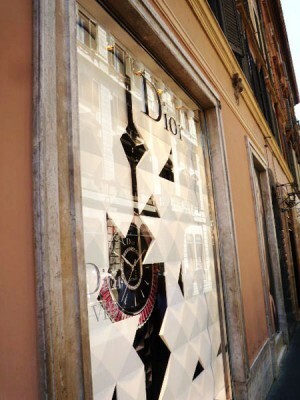 Definitely the best inventory that I have seen in Rome. 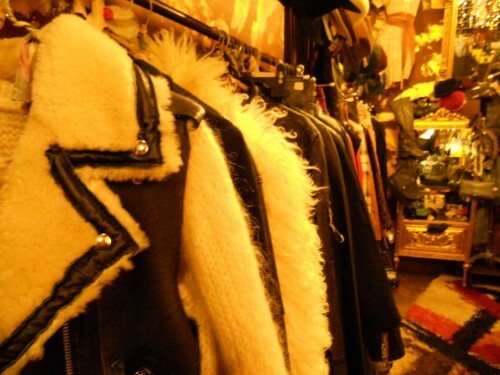 Old school leather, fur and great textiles fill the racks. 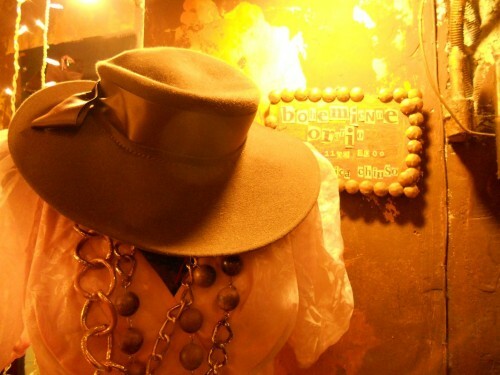 I am a big hat lover and if you are as well, this the place for you! 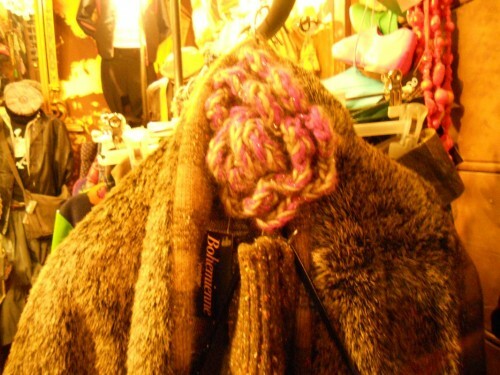 Bohemienne has so many great classic hats in many different colors. 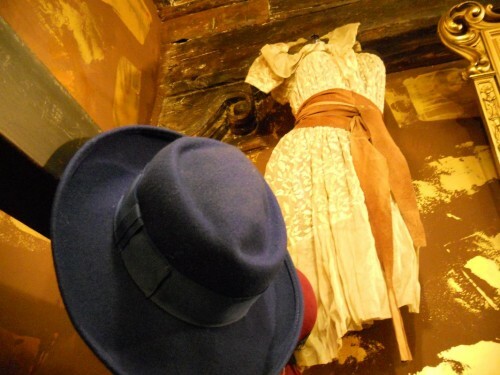 I was searching Rome for over three months to find a dope selection of vintage hats. 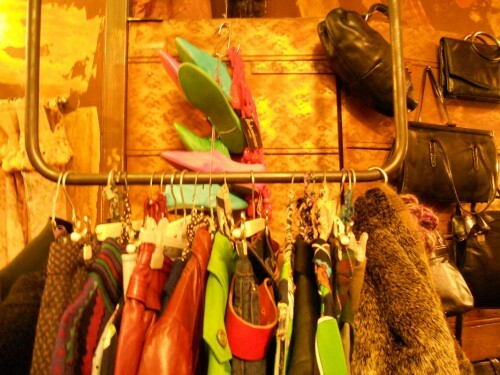 The majority of the collection is vintage. 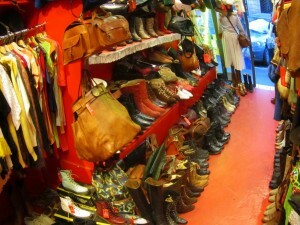 The shop does feature a collection of new shoes that really look vintage. 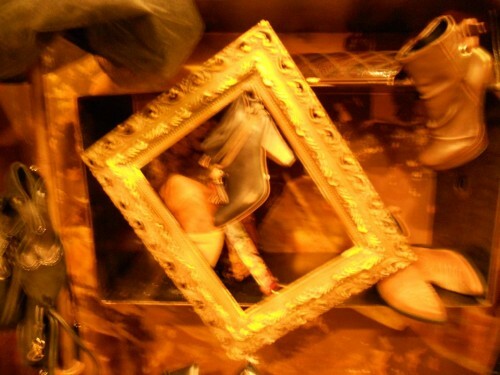 I was surprised when one of the shops founder’s Barbara told me the shoes were new. I guess it nice to have new shoes that look vintage lol. I really love the whole vibe of this place. 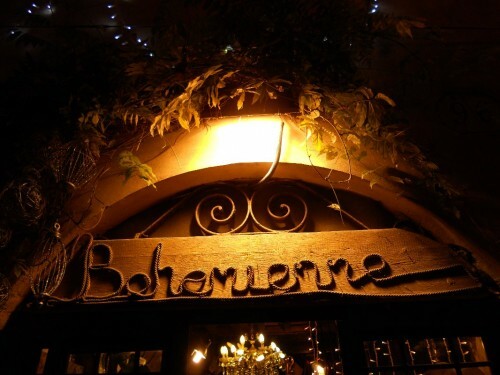 I went for the first time Bohemienne’s seven year birthday party. 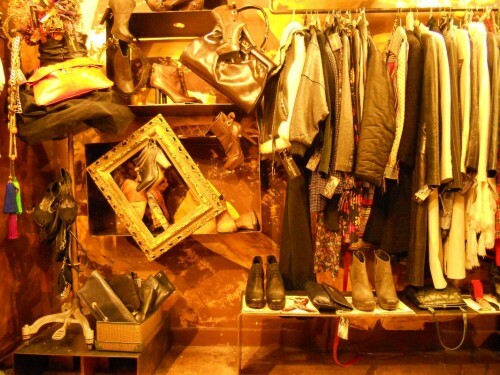 As much as the boutique has character, so do the people who run it. 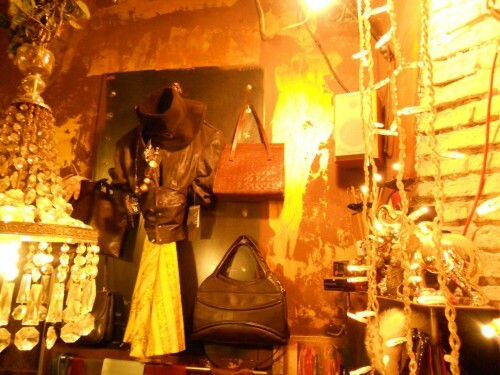 Barbarba and Cinzia are the two owners of Bohemienne. 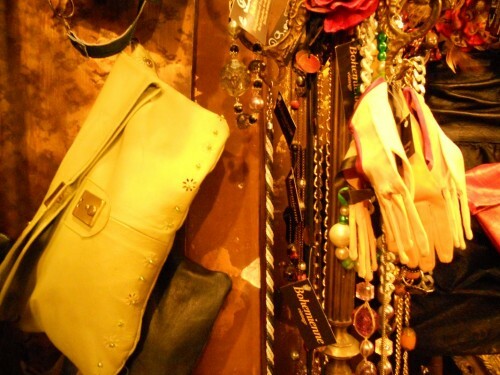 Barbara also designs and creates beautiful purses made of leather. They are also sold at very reasonable prices starting at 49 euros.They also have a many interesting vintage gloves in several colors.